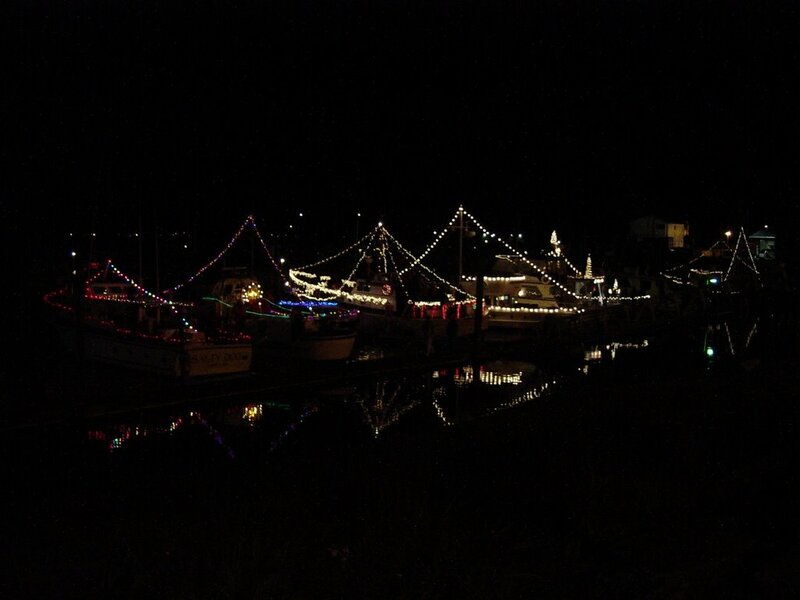 On Saturday, Dec. 2- the Port of Ilwaco hosted the 2nd annual Christmas Boats. 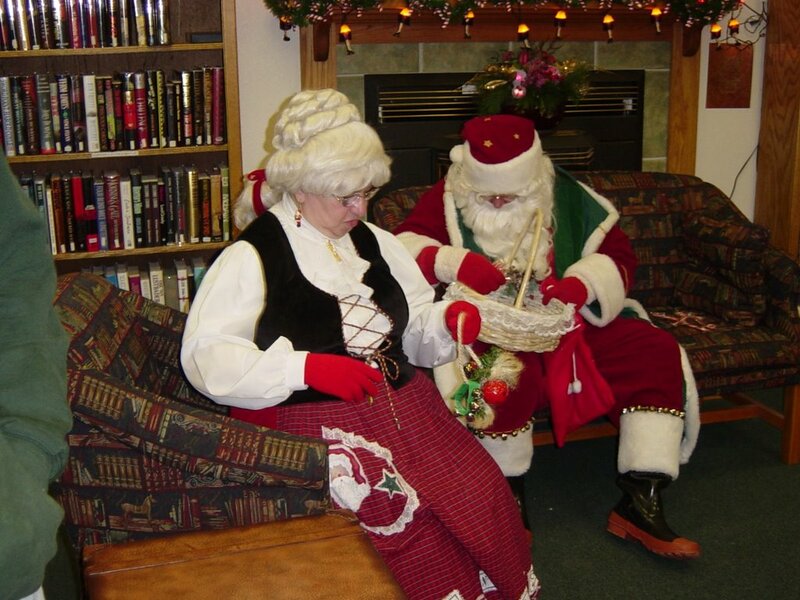 Santa and Mrs. Claus hung around the bookstore. We counted "8" boats. 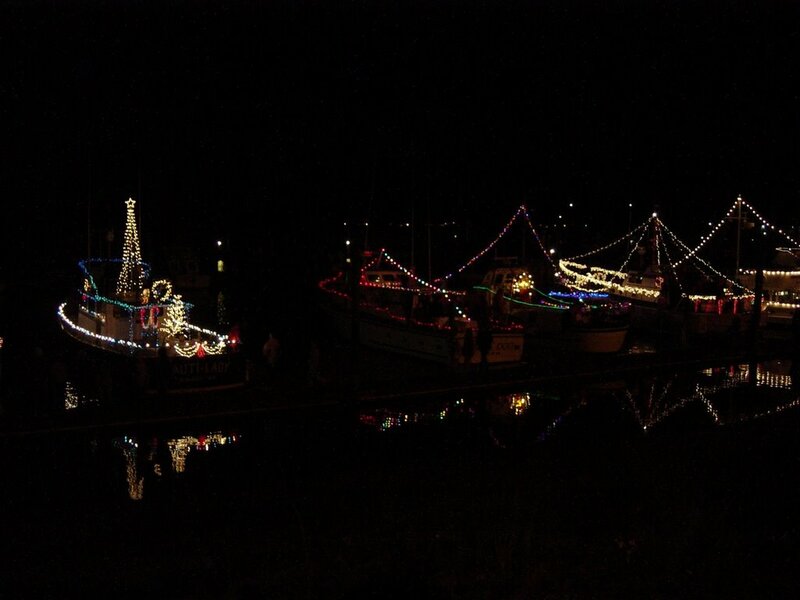 I think we need to work on adopting boats out for decorating next year... and how about some Holiday music? 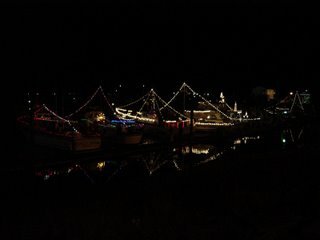 Brett, Aura and I ended up at the Harbor Lights Lounge for Hot Buttered Rum.